Philadelphia is the largest city in the Commonwealth of Pennsylvania and the fourth largest metropolitan area in the United States with over eight million residents. 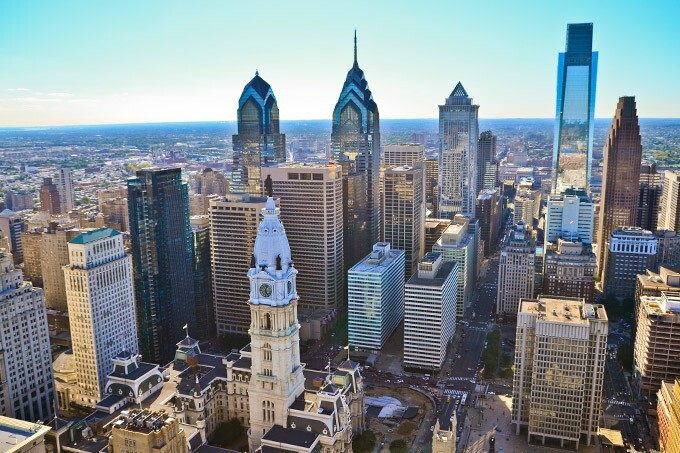 As the second most powerful city on the East Coast after New York, Philadelphia serves as the business capital of Pennsylvania and one of the most important economic and cultural hubs in the country. The city is ideally situated 100 miles from New York City and 140 miles from Washington, DC, strategically located in the epicenter of the wealthiest corridor in the United States. Philadelphia’s economy has undergone a dramatic transformation from its traditional manufacturing base to one driven by a variety of industries, with a special emphasis on the healthcare and higher education sectors. Philadelphia is home to 98 hospitals and more than 90 institutions of higher education, which employs more than 580,000 highly educated professionals across the region. The Philadelphia Metropolitan Area is also home to nine Fortune 500 companies, including Amerisource, Bergen, Aramark, Campbell Soup Company, Comcast, Crown Holdings, E.I. du Pont De Nemours, and Lincoln National, among others. In 2013, these nine companies generated in excess of $249 billion in annual revenues, representing nearly 67% of the Philadelphia Metropolitan Area’s gross metropolitan product (GMP). The city’s large and diversified economy has helped generate a GMP of $364 billion, one of the highest in the United States. As of August 2014, the Philadelphia Metropolitan Area’s unemployment rate stood at 6.7%, lower than other major US cities such as Atlanta, Chicago, and Los Angeles. More recently, Philadelphia’s fasted growing biomedical and pharmaceutical industries have brought 14 major pharmaceutical firms and nearly 100 biotech firms in the area. Eight of the world’s largest pharmaceutical companies are located within a 50-mile radius of Philadelphia, including AstraZeneca, Bristol-Myers Squibb, GlaxoSmithKline, Janssen Biotech, Merck, and Novo Nordisk. Philadelphia is also one of the top 15 markets for venture capital investment with nearly $350 million of committed capital across 105 investments.